California Restaurant Association Foundation hasn't added a story. The Culinary + Cocktail Clash is a lively cooking and craft cocktail competition between restaurant brands - all to raise money for high school culinary arts programs! The biggest trophy awarded is called "The Purse". It goes to the team that raises the most money for our cause. Help your favorite restaurant win by making a donation to their campaign! All donations are tax-deductible and create life-changing opportunities for young people. Did you know the CRA Foundation works with 9,000 high school students each year? With the help of people like you, we connect the classroom with industry to bring lessons to life. Here are just a few of the programs we offer: job-readiness training, field trips, speakers bureau, professional development for culinary arts teachers, school granting fund, competitions, and scholarships. Thank you for making this important work possible! California Restaurant Association Foundation hasn't posted any updates yet. 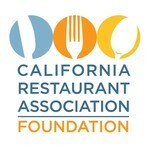 California Restaurant Association Foundation is managing the funds for this campaign.